Blog to End the Occupation: Freedom Riders on the West Bank? In May 1961, 13 Freedom Riders left Washington DC on Greyhound and Trailways buses headed to New Orleans in order to directly challenge segregation in the Jim Crow South by staging mixed-race bus rides. 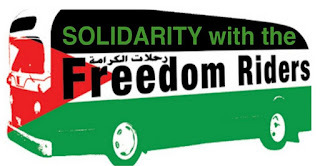 Inspired by this action 50 years later, this Tuesday, November 15th, Palestinian Freedom Riders will be challenging the Israeli military occupation through nonviolent civil disobedience by boarding segregated Israeli public transportation headed from the West Bank to Occupied East Jerusalem. In his article "Freedom Riders on the West Bank? ", Bill Fletcher, Steering Committee Member of the US Campaign, writes about how during his visit to Palestine this past June, the problem of transportation was a part of every conversation as Palestinians struggled to deal with the limits on their movement imposed by the Israeli system of apartheid. Just like during the US Civil Rights Movement, these Freedom Rides are meant to dramatize the violence Palestinians face everyday due to the occupation. 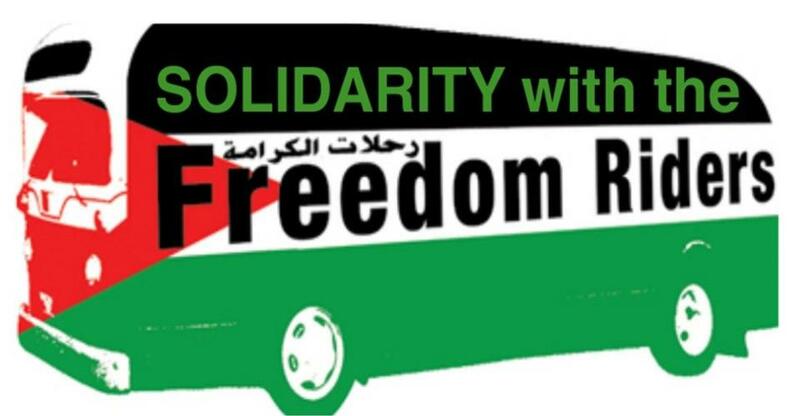 You can find out more information about the Palestinian Freedom Riders on their website or follow them Facebook and Twitter. And make sure to share!